Whether you use your Subaru for rallying or for the school run, we supply tailored car mats that will fit your needs perfectly. Manufactured and hand finished in the UK and covered by the manufacturer’s warranty, our tailored car mats are cut to the original Subaru templates and supplied with all the fixings necessary for an easy installation and precise fit. Supremely customisable, choose 3mm or 5mm thick rubber, opt for a low cost basic carpet or a luxury wool twist pile, and even decide the material, stitching type and colour of the edge trim. 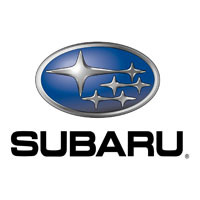 Add your own text or logo or let us design a new one just for you, and protect your Subaru from the dirt, water, mud and oil that could easily harm its resale value.